Inverter microwave ovens by Panasonic differ from traditional microwave ovens because of their constant power level. There are a variety of inverter models, but most of the basic features are the same. If problems arise, troubleshooting can help identify possible causes. Most issues can be resolved easily at home. Make sure your electrical outlet is functioning properly. Check the power cord if the oven will not turn on. It may not be plugged in securely. Remove the plug from the outlet and wait 10 seconds. 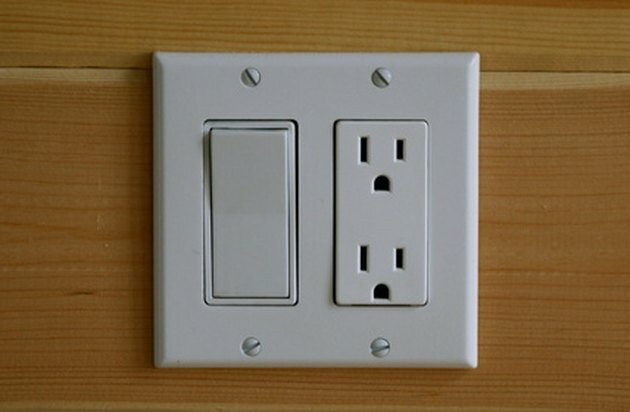 Plug the cord back in the wall outlet. Check the circuit breaker or fuse box if the microwave will not turn on. Replace any blown fuses. Reset tripped circuits. Make sure the door is completely closed if the oven will not start cooking. The unit will not start if the door is not secure. Press the "Start" button if the oven does not start cooking. After programming a cooking setting, the oven will not turn on until "Start" is pressed. Press "Stop/Reset" if the control panel buttons are not working. If another program is already entered into the keypad, it will not allow a second program to be entered. Pressing "Stop/Reset" clears the current program. Remove the glass tray and roller ring if the glass tray wobbles during a cooking cycle. The tray is not correctly positioned. Wipe the tray and roller with a damp cloth to remove any foreign material. Reset the roller ring properly and set the glass tray on top so the grooves in the glass line up with the rollers. If "Lock" appears on the display, you must disable the child lock. Press "Function" then press "5" to select "Child Lock." Press "2" to turn the child lock off.